Cool Storybook Link-Up - HAPPINESS IS WATERMELON SHAPED! 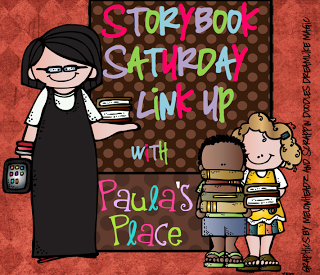 It's a sensational Saturday which means it's time to link up with Paula for her Storybook Saturday Link Up! 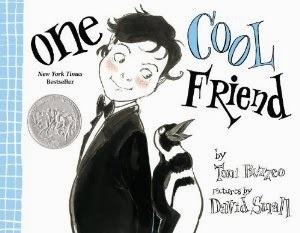 One Cool Friend written by Toni Buzzeo, is about Eliot's trip to the Aquarium where he takes home a penguin as a pet. The penguin's name is Magellan. Throughout the story, Eliot's Dad pays little or no attention to Eliot, but in the end, we learn that the Dad has a pet turtle, Captain Cook. The illustrations go along with the story, too. As you can see Eliot is dressed in a tuxedo, and Dad is dressed in a suit that looks like a turtle shell. Overall, this book is cool! If you're looking for a higher reading level book by Suzy Kline, this book is a Level O. It's also a great read-aloud. Herbie Jones is in third grade, and he writes poetry FOR FUN! The story also deals with friends at school, a girl who knows everything, life at home,.... There are a lot of connections students can find in this book. Back to One Cool Friend, I've always thought it would be amazing to take home a penguin for a pet, especially an emperor penguin who would be almost as big as me. Luckily, it's all make-believe.